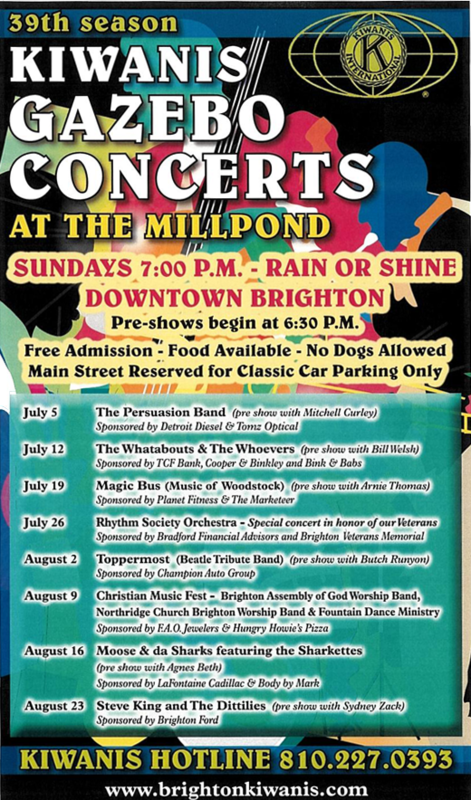 The Brighton Kiwanis is please to announce their 39th season of free music concerts in Downtown Brighton at the Mill Pond Gazebo. The concerts are Sundays at 7 PM with pre-shows starting at 6:30 PM unless noted. Previous post ← Aktion Club June 2015 Newsletter is here!